The liberal/scientist set has locked its sights on interplanetary matters once again. 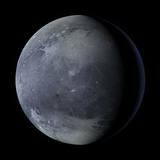 The United States has been embroiled in a debate about whether Pluto is actually a planet or merely a dwarf planet. Are we going to sit idly by while these anti-Pluto activists thumb their nose at the vast beyond which we call space? No, we are going to rally behind this great planet in solidarity and show these leftist rats that you cannot mess with our universe. Let me tell you right here, once a planet always a planet. You do not walk into a Planet Hollywood and tell Jackie Chan that the restaurant is being reclassified as Dwarf Planet Hollywood. Mr. Chan would kick a bar stool at you, and he would be right in doing so. Planet Hollywood is a fine restaurant with fine owners. None of which would disagree with Pluto being a planet. These planet liberals are always trying to mix up outer space for the regular folks like you and me. They want us to keep our laws off of their bodies, well I want them to keep their hands off of my planets. Pluto is my favorite interstellar body, and whether you downgrade its classification or not will not change my mind. Little has brought me joy like knowing that the planet Pluto is up in the sky. I know that it’s not necessarily part of Christian dogma, but I believe that Jesus Christ lives there in a mansion. And why would he not? Do you think that Jesus is not able to afford a Plutonian mansion? Your liberal ignorance has me laughing like you laugh at a Michael Moore movie or Margaret Cho’s brand of socialist propaganda. Pluto is not only the little planet that could, it is also the namesake of a very famous cartoon dog. When a child watches a Disney cartoon, are we to tell them that the dog “Pluto” is named after a dwarf planet? That is laughable. If Walt Disney named one of his characters after a planet, then a planet it shall remain. These liberals have sent their foot soldiers to Washington, D.C., in order to make sure that Pluto is never considered a planet. What gets me about these left-wing nutjobs is how they want change, no matter what the subject of the change happens to be. What is the point? How is everything not already as great as it is going to get? It seems downright un-American. These leftist anti-Pluto socialist un-patriots have me at my boiling point--and I’m steaming, Jack. This brings back nightmares of the time I spent in the comments section of the Miami Herald's website yesterday. In my dimension Pluto is the biggest planet, but Disney does not exist. I feel for you Bobby, it's a tough time to be a right-wing fascist/ Plutophile. But you, like Walt Disney, will have to grow up or become a billionaire family entertainment magnate. Overwhelming evidence as indications: I would not be able to Soul Travel to a 'dwarf planet' and yet i project astrally to pluto nearly every chance i get. My soul has a wisdom beyond these so called 'books of science'. more likely...just 'books of death'.